This past Monday, our blog highlighted the fact that Black Friday will soon be arriving. In fact, it takes place in just three short weeks! Now that it’s Friday, we thought it only made sense to highlight the fact that Cyber Monday is quickly on its way as well. Taking place on November 26th, Cyber Monday is the online equivalent of Black Friday, making it the biggest online shopping day of the year. If you’ve yet to invest in a safe and secure e-commerce solution, there is definitely no time to waste. You most definitely don’t want to miss out on the huge increase in sales numbers that always comes on Cyber Monday. Be sure to get in touch with Canadian POS to learn more about the e-commerce solution we have available. 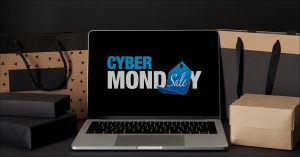 Once you’re all set up, you’ll certainly want to prepare your online store for the Cyber Monday sales event. If you’ve already set up your online store, you’re likely aware that it will require somewhat of a makeover in order to prepare it for its busiest day of the year. Make certain that all of the products you have available can easily be located and their heavily reduced prices are made clear. On Selz.com, Tara Storozynsky recommends that you make the appropriate changes to your site and then have it tested before the big day arrives. Arguably, there is no better way to attract online shoppers to your website on Cyber Monday than to promote the fact that it offers free shipping. As is obvious, shoppers look for sweet deals on both Black Friday and Cyber Monday. The main thing that sets the two popular holiday shopping days apart is shipping costs. Eliminate shipping costs from your store’s online shopping experience and you’re bound to increase sales. Add more holiday gift items. Here’s to a very successful Cyber Monday this year! Don’t forget to contact Canadian POS to learn more about our e-commerce solution by calling 1-877-748-2884 or emailing info@cdnpos.com.